Neil is the Founder of Visible Men. He has over 25 years of experience as an educator, entrepreneur, coach, and youth advocate. Neil is a regarded as a national thought leader and renowned speaker on black male achievement, minority education, character development, and youth empowerment. After receiving his B.A. in English and American Literature from Harvard University, Neil went on to play professional basketball in Australia. He has been an educational administrator for the last eleven years serving as the Assistant Headmaster at the Landon School for Boys in Bethesda, MD, as Interim Head of Upper School at the Out-of-Door Academy in Sarasota, Florida and is now serving as the VMA Principal. Neil is an Aspen Institute Educational Entrepreneurship Fellow. He is a member of the inaugural Echoing Green/Open Society Foundations Black Male Achievement Fellowship. 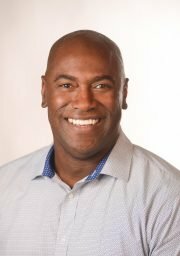 Neil is also a Nantucket Project Senior Fellow and was recently awarded the Nantucket Project Audience Award for his talk, “Race to Truth.” Neil created the strengths based VMA SHINE Culture which serves as the core values of Visible Men Academy’s school philosophy. (Selflessness Honesty Integrity Niceness Excellence)Neil serves on the Board of Directors for Washington Jesuit Academy in Northeast Washington D.C. He lives in Sarasota with his wife, Shannon Rohrer-Phillips, and their two young sons. 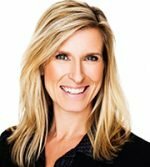 Shannon has over 25 years of experience as a social entrepreneur and advocate for children, families and communities. 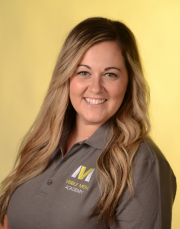 As the Co-Founder or Visible Men Academy, Shannon designed and implemented the Whole Child and Family Programs, Community Engagement efforts and most recently lead School Advancement Initiatives. She currently serves as a Senior Advisor to VMA. Shannon is also the co-founder of Visible Men along with her husband, Neil Phillips. Visible Men is a national movement that celebrates the untold story of black male success, and is now the focus of a feature length film and campaign created by the Nantucket Project. Shannon co-authored the book Visible Narratives with artist Karen Arango. Visible Narratives shines the light on the intrinsic strength, courage and beauty of low income families through a photographic journey. Shannon received her Bachelors of Arts degree from Colgate University and went on to earn a Masters in Social work MSW from Smith College School for Social Work. Her masters thesis was entitled, “Family Ties, The Influence of Extended Families in Biracial Identity Development.” Shannon’s early clinical social work was in pediatrics, trauma and psychiatry at Lucile Packard Children’s Hospital, Stanford Hospital and Georgetown University hospital. Prior to that she was the Case Management Coordinator of the Greentree Shelter, the largest homeless shelter for families in Montgomery County, Maryland. In Washington DC, Shannon served on the Cedar Lane Nursery School Parent Education Board, and the Georgetown Hospital Parent Advisory Board. Currently, she is a member of the Community Outreach Committee of the Asolo Repertory Theater in Sarasota, Florida. 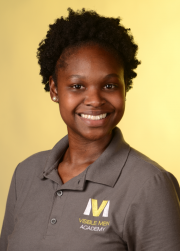 Shannon is on the board of the Smith Alumni Club of Sarasota, overseeing diversity and student recruitment Initiatives. Shannon was a proud recipient of the 2016 Wonder Woman Award by the Women’s Resource Center of Manatee/Sarasota recently joined the SRQ Women in Business Leadership Circle Class of 2017. She is fluent in French and emerging in conversational Spanish. 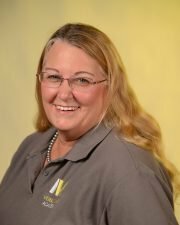 Shannon lives in Sarasota, Florida with her husband Neil, and their two sons. 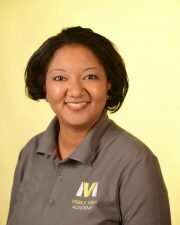 Dawnyelle Singleton is a Suncoast native and Communications professional with over 15 years of experience in graphic design, advertising, and community relations. After receiving her B.S. in Communications from Florida State University, she pursued her interest in art, by attending the Portfolio Center for Art and Design in Atlanta, GA majoring in Graphic Design. In 2003 Dawnyelle returned to Sarasota where she worked in the world of independent film advertising. At the same time, she started her own freelance graphic design business, Red Elephant Designs, where she worked on communications projects for several non profit organizations. After working in advertising, Dawnyelle’s passion for her hometown community and focus shifted to education. In 2010 Dawnyelle received her teaching certificate in Art K-12 from the State College of Florida in Bradenton, FL. During this time she worked as a substitute teacher at Sarasota School for Arts and Sciences and as a Staff Assistant at the University of South Florida. Dawnyelle is a member of Delta Sigma Theta Sorority, Inc., a Leadership Sarasota graduate.